The maestro got two nominations at the 2010 Grammy Awards. 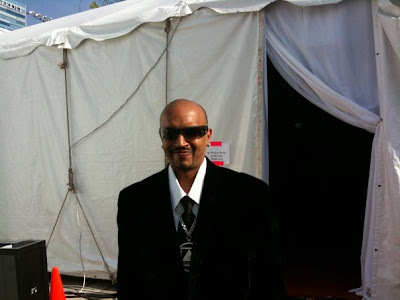 He won the first Grammy for the best compilation soundtrack for a motion picture, the second Grammy for his song “Jai Ho” in the best motion picture song category. 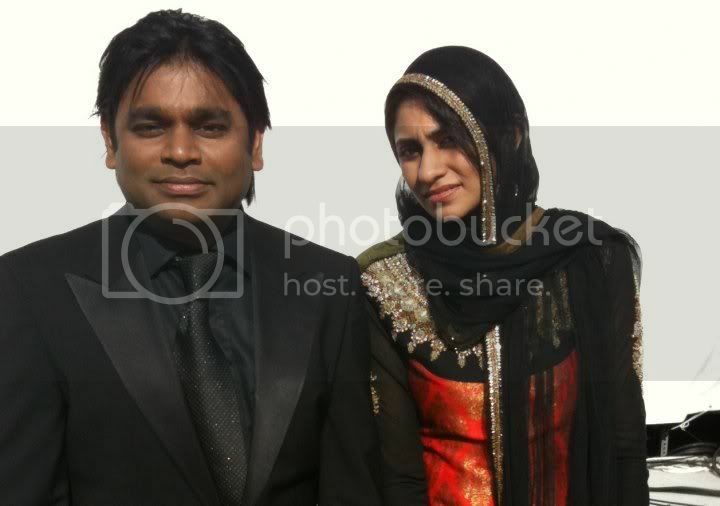 Last year Rahman won two Oscar awards for his music in “Slumdog Millionaire”. 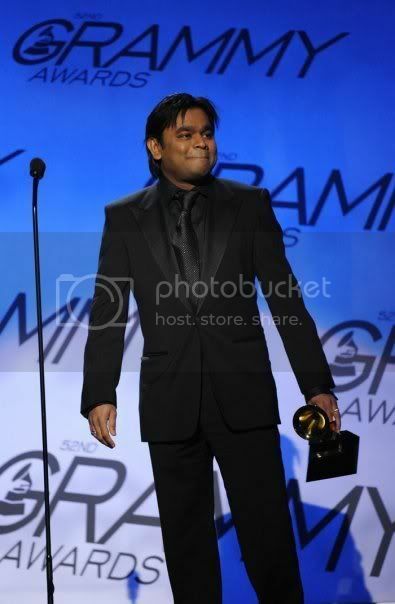 In, 2010 he repeated that in theGrammy awards. 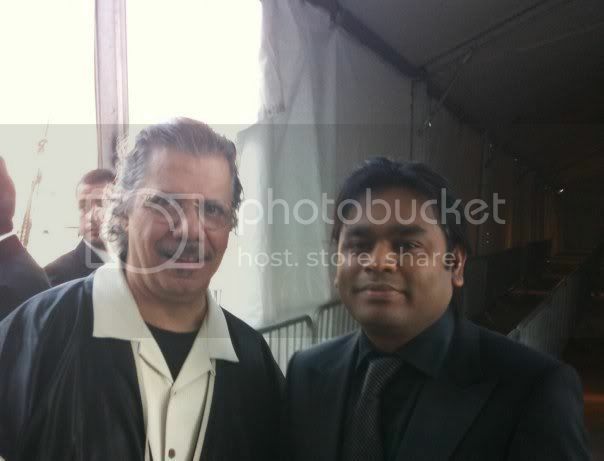 Congratulations to “The Mozart of Madras” A.R. 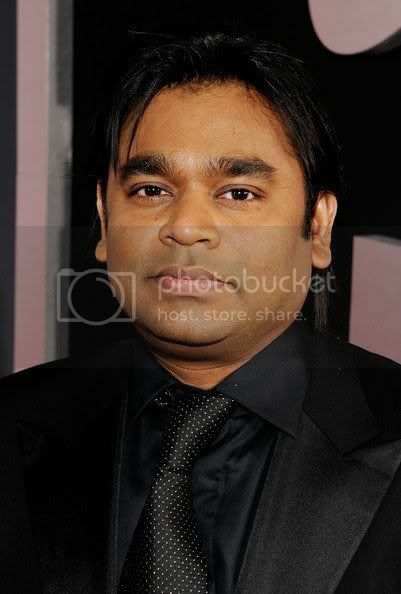 Rahman! 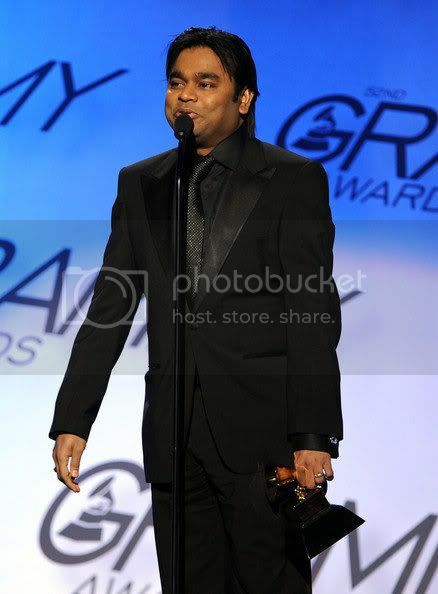 “This is insane, God is great again,”Rahman said as he accepted his second award before a VIP audience.